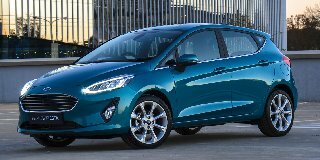 Download the latest Ford Fiesta brochure and specifications document as well as get the latest pricing for this vehicle. The Electronic Stability Control (ESC) continuously monitors the vehicle progress on the road. It monitors and senses when the vehicle is trailing on grip and instantly applies the braking pulse to the individual wheels and stabilizing it. The Ford Fiesta is equipped with advanced sensors form the anti-locking braking and traction control systems that monitors the behavior of the vehicle. The Ford Fiesta features Hill Launch Assist (HLA) which activates and assist to prevent rolling backwards or forward when hill starts and helps maintain pressures to the braking system giving you time to move your foot from brake pedal to accelerator.